Rising to fame on the 1980s television series 21 Jump Street, Johnny Depp becomes a teen idol immediately. As a preeminent actor, he is always willing to play the most challenging yet novel characters in the selective movies, some unconventional roles that most Hollywood performing higher-ups rarely attempt to. Destined as a great actor, he can handle all sorts of roles onscreen. But what kind of person he is in the real life, similar to the role? We all want to get closer to him and maybe the most practical yet effective way to do so is to watch Johnny Depp best movies, from which you may find the answer. Here presents Johnny Depp filmography, including the best-reviewed movies up to now, the Oscar-nominated films and his upcoming new blockbusters worth attention. Tips: Providing you have accumulated plentiful DVD version of Johnny Depp best movies in your closet, why not make a copy of these best Johnny Depp DVD movies for eternal storage? Just resort to an awesome MacX DVD Ripper Pro and then you can backup best DVD movies with 1:1 lossless quality and safeguard your DVD disc from being accidently damaged or lost. 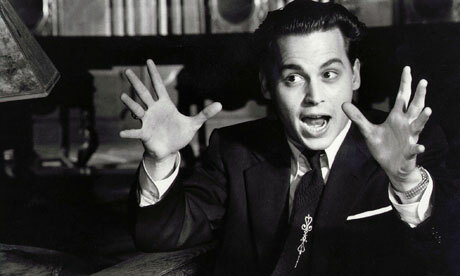 The 1994's Ed Wood, a loving tribute rendered by the hand of Tim Burton, stars Johnny Depp as cult filmmaker Ed Wood, who devotes himself in his continual quest for film greatness but unfortunately the success doesn't find its way to him. This best Johnny Depp film presents the audiences a sympathetic portrait of Wood's Hollywood struggles and his brushes with transvestism. Possibly the most surprising aspect of the movie is the genuine sentiment between Wood and his second wife Lugosi. In all, Ed Wood is one of must-have best hollywood movies infused with side-splittingly funny, a tad tragic or even frightening -- and a heartfelt homage to the love of movies, good and bad alike. 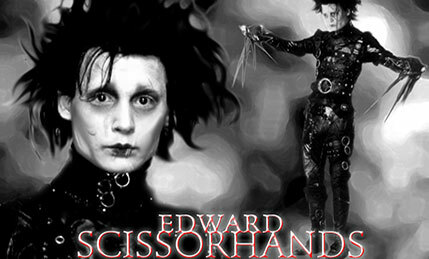 If it's the 21 Jump Street made Johnny Depp become a household name in America, it's the Edward Scissorhands made him become the talk of the town. As the eminent romantic dark fantasy film in 1990, this flick amuse millions of movie buffs since it narrates the story of an artificial man named Edward, an unfinished creation who has scissors for hands. And after he is taken in by a suburban family, he falls in love with a beautiful girl Kim and there happens numerous romantic yet funny stories. The unique Edward is versed in creative hedge trimming and an unrivaled ability to cut hair. Thus soon after, he becomes a big celebrity in this small yet peaceful town. But later he is involved in a crime and his so-called friends keep away from him except Peg and Kim. The movie on DVD is also one of best DVD rentals of all time. 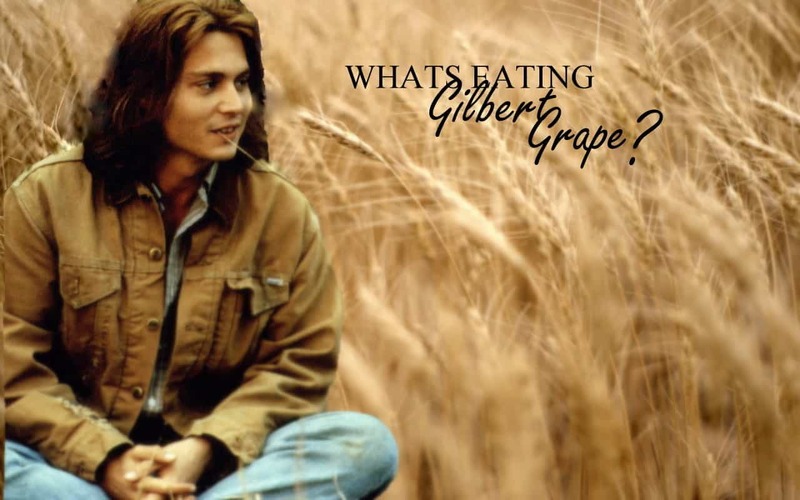 A new challenge comes to Johnny Depp when he gets the script of What’s Eating Gilbort Grape. Since different from the former comedy Edward Scissorhands he plays, this time brooding Depp is set to be a mature yet responsible man to look after his mentally challenged young brother Arnie (Leonard DiCaprio) and his obese mother who becomes depressed for years due to her husband's suicide. This whole movie is based on a depressing yet sentimental atmosphere. 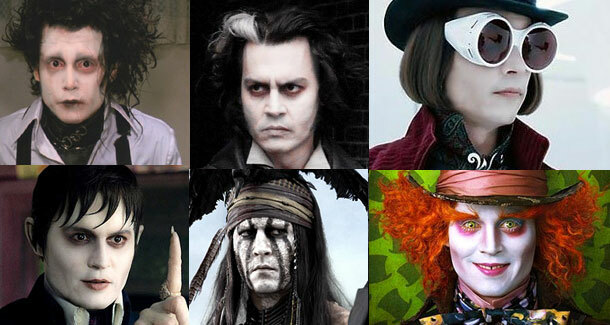 But from it, you can see a different Johnny Depp and his efforts to present this role. Also this movie pushes Leonardo DiCaprio to the Academy Award nomination. Speaking of the highlights of Rango, it's undeniable that the winners go to Gore Verbinski and Johnny Depp. You see, the duo reunited is for a non-Pirates of the Caribbean project, and brings the audience with an entertaining yet cute animation. 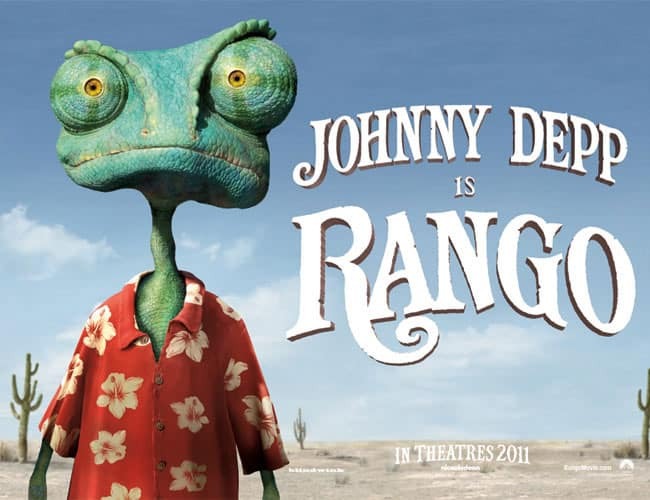 Depp himself thrived in the role of Rango despite having nothing more than his own voice to rely on. Rango is a chameleon house pet who ends up stranded in the desert and bumbles his way into being appointed sheriff of a town under siege by a malicious rattlesnake (voiced by Bill Nighy). Through it's the first CG-animated film distributed by Paramount, it still receives a warm response and the Academy awarded it Best Animated Feature at the Oscars, and the Teen Choice Award gives the honor of the Best Voice Actor trophy to the great Johnny Depp in 2011. See if Johnny Depp movies got a place in the list of best hollywood movies 2016 . Wonder why Johnny Depp best movies without any adorable kids to bring fun? Here it comes. 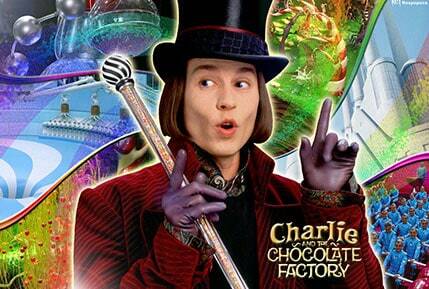 That is his 2005 kid & family related comedy-Charlie and the Chocolate Factory. As its name claims, this best kids movie of Depp covers the lovely elements you like, such as the sweet candy, the chocolate factory and the naïve kids and more alike. This fantasy movie mainly tells you a story about a young boy named Charlie Bucket (Freddie Highmore) who becomes the lucky dog to see the inside of the world's most celebrated candy factory run by Willy Wonka (Johnny Depp). Companied with other four lucky children, they have a fantastic tour around the strange and remarkable world. Washington Irving's tale of Ichabod Crane and the Headless Horseman gets a few new twists in a screen adaptation directed by Tim Burton. Starred by Johnny Depp, this American-German Horror movie Sleepy Hollow narrates Ichabod Crane (Johnny Depp) is a New York City detective whose unorthodox techniques and penchant for gadgets make him unpopular with his colleagues. 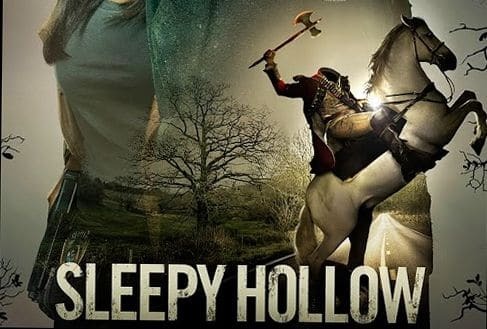 He is assigned to the remote Sleepy Hollow to investigate a series of uncanny murders, in which a slew of people have been found murdered in the woods, with their heads cut off. Rumors spread in local place that it’s the legendary apparition-the Headless Horseman to commit crime, but Ichabod isn’t buying it and he will use his bravery and action to reveal the truth. After watching the former mentioned best movies of Johnny Depp, you will find it's quite normal for Depp to play the kooky characters. 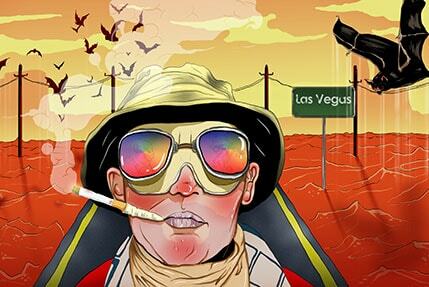 And by the time he joined Hunter S.Thompson's semi-autobiographical book-Fear and Loathing in Las Vegas, he had to play an even weirder role- a recreational drug enthusiast and pioneer in the field of gonzo journalism. This film mainly talks about the journalist Raoul Duke's misadventures while covering a story in Las Vegas alongside his lawyer, Dr. Gonzo ( Benicio del Toro). This is the sort of film that lives or dies on the strength of the lead actor's performance. Luckily, Depp spent a large amount of time hanging out with Thompson before the shoot, carefully observing and digesting the writer's freak mannerisms and speech patterns. Though the box office encounters a Waterloo, no one seems to complain about the strength of Depp's performance. Pirates of the Caribbean: Curse of the Black Pearl tells a tale of adventure set during the 17th Century in the Caribbean Sea, which follows pirate Captain Jack Sparrow (Johnny Depp) and blacksmith Will Turner (Orlando Bloom) as they rescue the kidnapped Elizabeth Swann from the cursed crew of the Black Pearl. The film received positive reviews from the critics and was an unexpected success, grossing over $654 million worldwide. 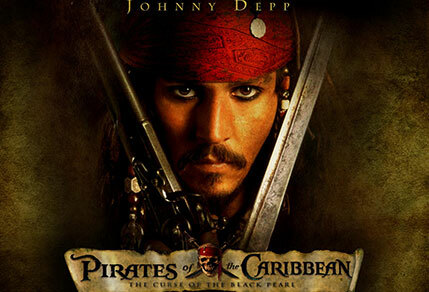 And Johnny Depp's portrayal of Captain Jack Sparrow is universally praised, winning him nominations for the Academy Awards, BAFTA Awards, and Golden Globe Awards for Best Actor. What makes Johnny Depp himself even more surprise is that Jack Sparrow promptly becomes a Halloween costume favorite for years to come and his classic words and expression are imitated at all the subsequent parties. 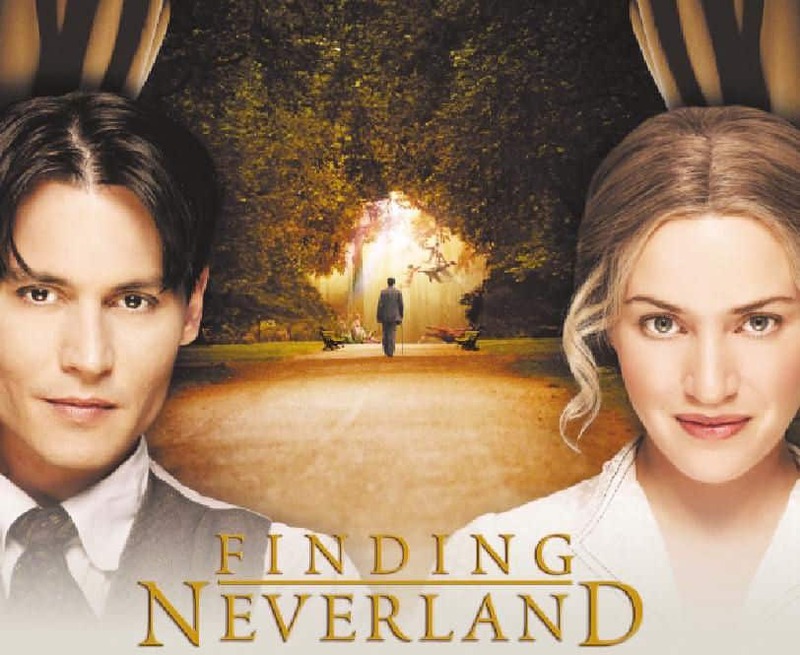 The 2004 American semi-biographical film is about playwright J. M. Barrie and his relationship with a family who inspired him to create the children's classic Peter Pan. Johnny Depp stars as the turn-of-the-century writer as the film abides by Barrie as he struggles to write and has his play produced while he cares for his sound neighbors who inspired the story in the first place. Albeit fail to let lots of money roll in, this real life related movie suits kinds of movie award appetites, for instance, Johnny Depp gains the Academy Awards nomination for the Best Actor as well as that from BAFTA Awards, Golden Globe Awards, etc. 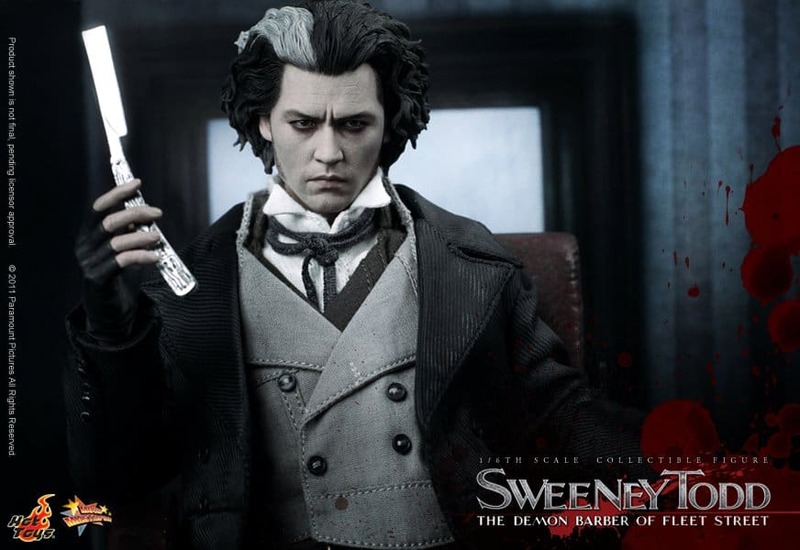 More than 15 years after lip-synching to the voice of James Intveld in Cry-Baby, Johnny Depp returned to the world of cinematic musicals and marked his sixth collaboration with Tim Burton-for 2007's Sweeney Todd: The Demon Barber of Fleet Street. This film is about the infamous story of Benjamin Barker, a.k.a Sweeney Todd, who sets up a barber shop down in London that is the basis for a sinister partnership with his fellow tenant, Mrs. Lovett. This drama musical flick rides a wave of popularity as long as it opens its veil. The Oscar Awards bestows it with the Best Actor nomination and Golden Globe Awards finally delivers the significant trophy of 2007 Best Actor to the movie king Johnny Depp. A witch conspires to teach important lessons to various characters of popular children's stories like Little Red Riding Hood, Cinderella, Jack and the Beanstalk and Rapunzel. Johnny will play the part of a wolf. Based on the three-part series of books by Kyril Bonfiglioli, Charles Mortdecai, an antihero art dealer and rogue, is in a race to recover a stolen painting rumoured to contain the code to a lost bank account filled with Nazi gold. The true story of Billy Bulger, Whitey Bulger, FBI agent John Connelly and the FBI's witness protection program that was created by J. Edgar Hoover. Continuing the main plot of the last one, Johnny Depp and Mia Wasikowska will come back for more adventures in Wonderland. The fifth sequel of the blockbuster franchise that follows the adventures of Captain Jack Sparrow is rumored to include more of the supernatural flavor of its predecessors, and the return of some of our favorite characters.